We give our customers and member banks access to significant discounts on banking and office supplies, promotional swag, UPS/Unishippers shipping, and more. 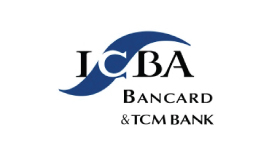 One of the many benefits of membership in ICBND is access to ICB Marketing Solutions. 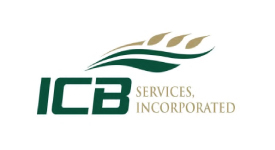 To learn more about ICB Marketing Solutions and how it can benefit your bank, call Lacey or Jess at (800) 568-4199 or email laceyk@icbnd.com. Receive significant discounts on wireless calling plans, as well as other discounts on accessories, devices, smartphones and text message plans. Eligibility requirements apply. Visit NPP to find out more and to enroll - Click Here. Best Buy for business offers top tier pricing on over 150,000 items. Discounts vary upon item category. Click here to enroll with NPP and access your discount. Receive a discount on hotels from Expedia. Sign up today at NPP and find your freedom with an additional discount over and above Expedia's already low prices. The fastest, most secure way to electronically sign, approve, and manage documents anytime, anywhere. 10% off list price or custom pricing + 5% rebate. EarthLink offers members up to 25% off Business Services. Services include High-Speed Internet, Traditional Voice and VOIP Lines, Bundled Voice and Data Solutions, Secure Intra Office Networks, Secure WiFi, Microsoft Office 365 and more! Enroll with NPP and start saving today. The Independent Community Bankers of America® (ICBA), and Dell have announced an agreement providing benefits to all ICBND member banks. Through this relationship, North Dakota community bank members will be able to take advantage of preferred pricing on computer equipment such as workstations, servers and laptops. Hardware covered under the agreement includes workstations, laptops, ultrabooks, desktops, servers, printers, electronics and accessories as well as services and software. ICBND members will also have access to a dedicated account executive familiar with the program who will advocate for them with appropriate Dell teams, including technical experts from all of Dell’s brands and product lines. For the current sales discount information, click here. For additional information, visit www.dell.com/icba. ICBPE is proud to announce the NEW partnership with UPS! The only change you'll see is a UPS truck and a smaller bill. Get more of what you want, including savings, with UNISHIPPERS and UPS. For all banks interested in taking advantage of the volume UPS group rates, please contact Jess or Lacey and ICB Marketing Solutions' Unishippers/UPS account rep will contact you with your linked account information for new and existing accounts. It's that easy!